Prague's stores tend to open at 8 or 9 a.m. and close at 6 or 7 p.m. Large grocery stores open at 7 a.m. Some stores are closed during lunch hours. The hours are shorter on Saturdays (from 10 a.m. to 1 p.m.) and most stores except large supermarkets are closed on Sundays. 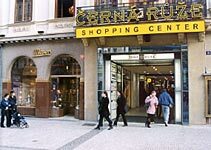 Stores in the center of the city and in shopping malls have longer opening hours. Large supermarkets stay open until 9 or 10 p.m. and some of them are open 24 hours a day. Most stores in the Prague city center and tourist locations are open on weekends. Official currency is Ceska Koruna (Czech crown). Most stores (also small ones) accept credit and debit cards. Selected department stores and restaurants accept Euros but exchange rate is disadvantageous. There is a dense network of automated teller machines (ATMs) throughout Prague and the Czech Republic. The center of Prague is filled with souvenir shops offering all kinds of typical Czech products, from simple wooden toys to expensive jewelry or crystal and glass items. Below are some suggestions for typical Czech souvenirs you can buy in Prague. 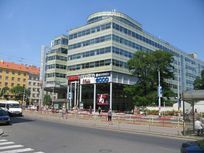 The main Prague shopping area is in and around Wenceslas Square, where local shops compete with International department stores. The Old Town Square and The Lesser Town have smaller boutiques. 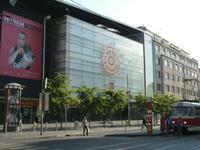 Non EU tourists can enjoy tax free shopping in Prague (more here). Prague's markets offer a vast range of goods in a friendly atmosphere where bargaining is all part of the fun. The largest market in the city, Prague Market, is in Holesovice. It was converted from a former slaughter-house. The market now sells fresh fruit and vegetables, all kinds of poultry as well as fish, textiles, flowers and electronics. These are all sold in several large halls and in outdoor stalls. In Havelska, right in the centre of the city, is the small Havel Market, which mainly sells fresh fruit and vegetables and souvenirs. Remember that some of the goods sold at markets, especially the mass of clothes and shoes, can be of poor quality. Hundreds of street stalls and wandering street vendors appear during the summer around Charles Bridge, the Old Castle Steps, Na Prikope and Old Town Square. Streer stalls sell a huge variety of goods. Most stalls have handmade items such as jewellery, pottery, carved wooden toys, puppets, models of Prague's houses and Czech crafts. Tesco supermarket, 150 different shops, restaurants and cinema multiplex. 120 shops, restaurants, cinema multiplex and IMAX.